By their different natures, you likely kept these separate, but typically you may have used the same platform or location for all of them. But then your needs started to grow. New business areas and new functions led you to choose new platforms. You were using Oracle, which was working fine, but suddenly your DBAs preferred to use Sybase or SQL Server for certain applications. You played around with MySQL for some simple functions, and fell in love with the Open Source model, but realised you needed something more robust, so started building in Postgre. Your company continued to grow. Perhaps you even acquired or merged with some others. You could migrate everything to one system, but that is, of course, time-consuming and expensive at least in work hours. Also in the real world, this never happens. The tendency is to keep your legacy systems running, along with a whole host of other systems. And it only gets more complex from there. Some of your databases are running on in-house servers, some are being housed remotely, and almost all new databases are running somewhere in the cloud on who knows how many instances. You begin to see the problem. Your DBAs are starting to threaten to quit. There's too much for them to do. You feel you need a full-time person for each system, and what happens if one database needs information from another? Larger corporate entities could theoretically pay for a lot of DBAs, but typically they over-rely on just a few. And in smaller companies, this is just not an option. So how do you handle everything? In reality, it's not possible for a single system to reduce all of the pain and all of the work, (hey, and besides, we all need job security, right?). However, dbWatch has tools that will definitely reduce the strain (and brain-drain you may sustain) when your DBAs start to rebel. 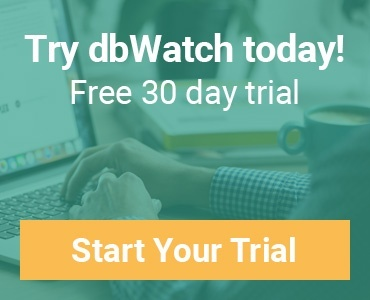 Instead of using a completely different interface for monitoring and managing each and every database, with dbWatch, there is only one interface for managing everything. The user interface is, for the most part, identical regardless of the platform or version you are running. Instead of having to keep an entire library of manuals in your head, and remember which system and which interface is used for a particular task, 60-70 % of all operations are the same, regardless of platform. 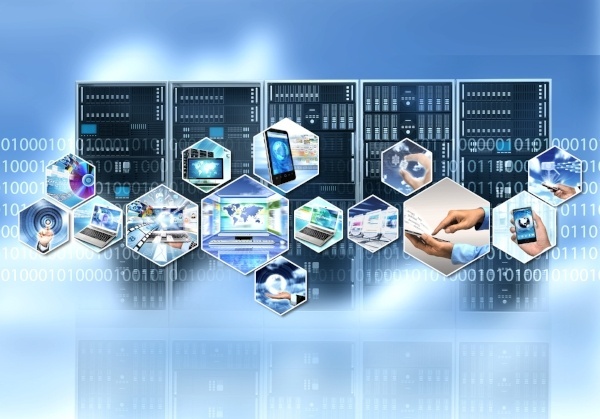 No matter the platform, tasks such as instance configuration and management, expanding files, running tests, and more can all be handled with one interface. Using dbWatch you get a clear accounting of data from all databases at once; you can easily detect which systems are running well; whether there have been changes occurring over a period of time that need to be addressed, and even to be able to gain a top-level view about which systems might need to be seriously re-engineered or even replaced. On top of this, you can get a clear view of where the highest concentrations of transactions are occurring, regardless of platform, which will help make business decisions regarding which areas may need more focus. Beyond monitoring and reporting, if an action needs to be taken, it can be handled directly from your control centre in dbWatch. Again, no need to remember which system is running what; it's right in front of you; you can rebuild indexes on the fly or install new scripts which can help streamline the processes. All DBAs can share the same UI, experience and notes, even if they specialise on different platforms. Managing your team and human resources can get considerably easier, and make it possible for specialists to manage or handle issues with systems that normally would take far more people. This can help reduce levels of redundancy that will improve business flow. For instance, say you have a SQL Server DBA and an Oracle DBA (not to mention the massive array of those with other skills and specialists), who have typically siloed their work into their own areas. Of course, you need them both, but what if one takes a holiday or becomes ill? Maybe you have a smaller crew on the night-shift. Or maybe suddenly there's a surge of activity or problems in one sector. It's a lot better if an administrator for one system can handle some of the critical problems with another. You can bring all hands on deck to handle any emergencies. If you need to have several different systems communicate with each other, you can improve communication and reduce back and forth if everyone is already familiar with the way things look. With dbWatch, since all DBAs use the same interface, adapting from one system to another becomes considerably easier. It makes it a lot easier to manage different instances. Instead of your MySQL DBAS looking at you sideways when you want them to suddenly manage an Oracle database, they'll quickly calm down when they realise they already know the interface. Your Postgre experts can (while they may grumble about it, and yes, you know some of them will) handle any issues that arise with SQL Server. Of course, the more diverse your system is the more complexity is involved in managing it. 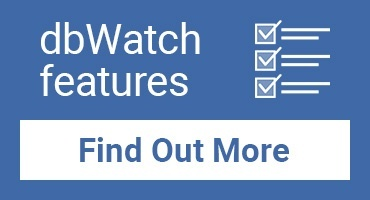 However, with a tool like dbWatch, you can agilely handle an array of different platforms, versions and hosting environments in a way that will make you feel like you have a much better command of the entire system.